Easel Picture Frame Backs 4 x 6, 2 x 7, 8 x 10 Got a great frame with a sagging easel back? Don't throw it away - just get a new back! 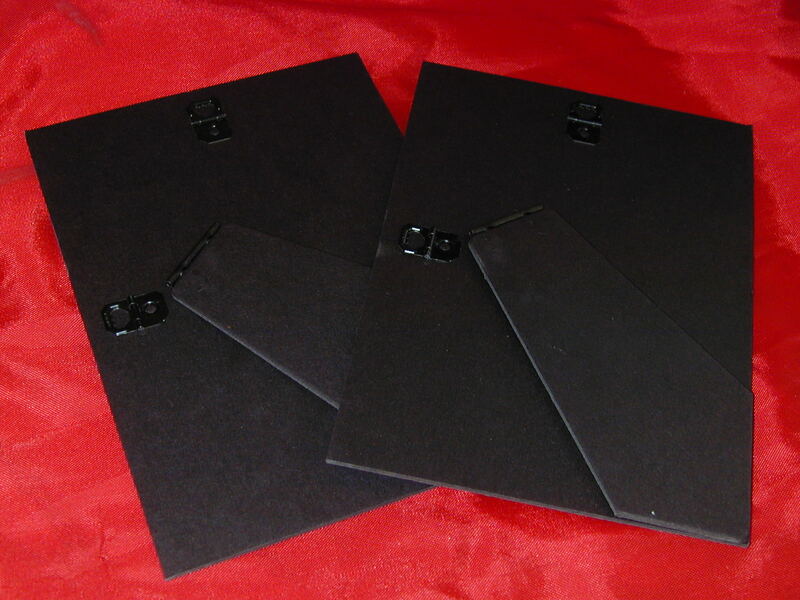 Professional quality black easel backs with hinged support leg for each of the 3 sizes. You will receive (2) of size that you select. Made of sturdy, thick black chipboard. Superior support for framed art. May be used to display horizontal or vertical artwork.